CHIVHU – Chikomba Rural District Council (RDC) is living in fear of the fact that the dualised Harare – Beitbridge could bypass the transit town of Chivhu with the debilating effect of destroying established business. Chikomba RDC chairman Israel Dhikinya said that a lot of shops in Chivhu CBD are dependent on travellers and they are bound to collapse if the proposed dual road does not pass through the town. The council is appealing for the government to consider maintaining the current site of the Chirundu-Beitbridge High way in the Central Business District of the Chivhu transit town to enhance continued business activity. 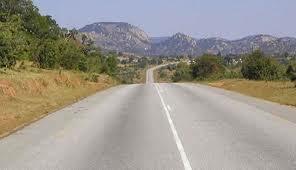 The government recently commenced the rehabilitation of the Chirundu- Beitbridge Highway. Dhikinya said the council had not yet received the proposed engineering plan for the rehabilitation and dualisation of the highway in the council’s proximity. He said the council was collecting significant revenue which was enhanced through the existence of the highway in Chivhu since notable business entities had invested in the town. “In some cases where highways by-pass the central business districts, business operations are now centralised in the peripheries hence the development of ghost towns. In Chivhu, a number of food outlets, supermarkets and service stations,are currently contributing immensely to the council revenue but contributions will be reduced if the road is moved,” said Councillor Dhikinya. Dhikinya added that there was a likelihood of loss of employment due to the possible reduction of business operations if the road was moved to another site. Council chief executive officer Bullen Chiwara said the council would engage the Ministry of Transport and Infrastructural Development on the issue.